Built-in toilet tank - OLI120 PLUS SIMFLEX - OLI - Sistemas Sanitários S.A. Kitchen & Bathroom > Bathrooms > Toilet tank > OLI - Sistemas Sanitários S.A.
OLI120 PLUS SIMFLEX OLI - Sistemas Sanitários S.A.
- OLI120 Plus Simflex is ideal for wall-hung toilets and is suitable for application in masonry walls or solid-walls that are bricked lined. 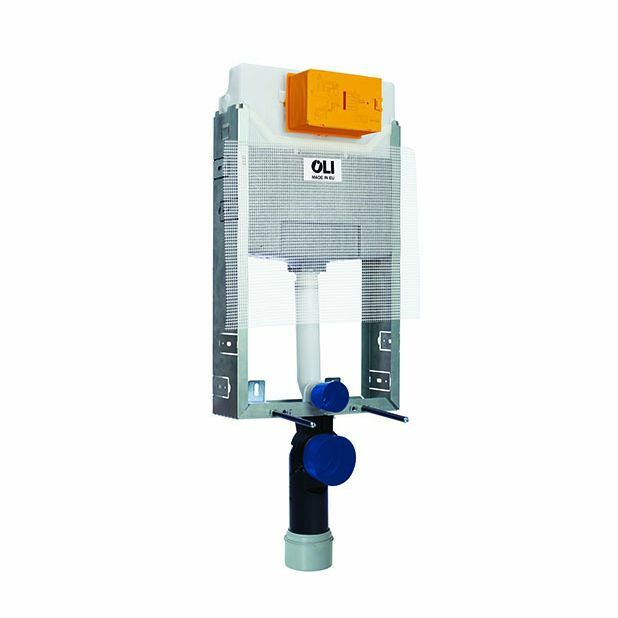 - OLI120 Plus is available with OLIpure, a closed storage system that disinfects your toilet with every flush. In addition, OLI 120 Plus has quick and intuitive installation and maintenance.